How much is Nick Knowles Worth? Nick Knowles net worth: Nick Knowles is an English television presenter, writer, and musician who has a net worth of $10 million. Nick Knowles was born in Southall, Middlesex, England in September 1962. He is best known as a presenter for BBC including the game show Who Dares Wins since 2007, the game show Break the Safe from 2013 to 2014, and the game show 5-Star Family Reunion from 2015 to 2016. He is also known for presenting the television series DIY SOS since 1999 on BBC One. From 2007 to 2013 he co-presented the daytime TV series Real Rescues. 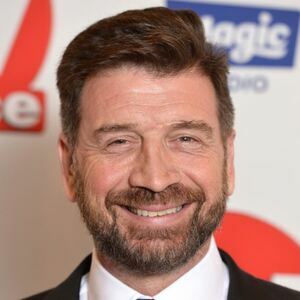 Nick Knowles has also been featured on the TV series Ridge Riders, 5's Company, Last Choir Standing, Guesstimation, Wildest Dreams, Secret Fortune, Perfection, Close Calls: On Camera, The Retreat, and more. In 2018 he competed on the reality TV series I'm a Celebrity… Get Me Out of Here!. Knowles co-wrote and executive produced the movie Golden Years.